TLJ Daily E-Mail Alert No. 2,002, October 13, 2009. Tuesday, October 13, 2009, Alert No. 2,002. 10/8. Rep. Frank Kratovil (D-MD) and Rep. Leonard Lance (R-NJ) introduced HR 3762 [LOC | WW], the "Congressional Research Service Electronic Accessibility Act of 2009". This bill would require the Library of Congress's (LOC) Congressional Research Service (CRS) to make available online to the public certain information, including "Congressional Research Service Issue Briefs", "Congressional Research Service Reports", and "Congressional Research Service Authorization of Appropriations Products and Appropriations Products". It was referred to the House Administration Committee. Rep. Kratovil stated in a release that "As the public debate has become increasingly partisan and polarized, it is more important than ever for citizens to have full access to the same neutral, unbiased information that many of us rely on to help us formulate important decisions." Rep. Lance stated in the same release that "Our bill will allow for greater transparency and ensure that non-partisan, public policy reports that are prepared with taxpayer funds for members of Congress be available to educators, students, members of the news media and every citizen across the country." Similar bills have been introduced in prior Congresses. See for example, HR 2545 (110th) HR 3630 (108th), and HR 654 (106th Congress). Technology related groups have long advocated making CRS reports available online to the public. See, for example, the Center for Democracy and Technology's (CDT) document titled "10 Most Wanted Government Documents", originally released over a decade ago. CRS reports are at the top of this list. 10/5. Sen. Dianne Feinstein (D-CA) and Sen. Charles Grassley (R-IA) introduced S 1749 [LOC | WW], the "Cell Phone Contraband Act of 2009", a bill to criminalize both inmate possession of cell phones in federal prisons, and providing a cell phone to federal prisoners. This bill would amend 18 U.S.C. § 1791, which pertains to "Providing or possessing contraband in prison". Currently, the statute provides that "(a) Whoever (1) in violation of a statute or a rule or order issued under a statute, provides to an inmate of a prison a prohibited object, or attempts to do so; or (2) being an inmate of a prison, makes, possesses, or obtains, or attempts to make or obtain, a prohibited object ... shall be punished ..."
Subsection (d) then enumerates the items that constitute a "prohibited object". It currently lists firearms, illegal drugs, and other items, but not cell phones. S 1749 would add to this list "a phone or other device used by a user of commercial mobile service ... in connection with such service". That is, it outlaws federal prisoner possession of cell phones, and related items, such as SIM cards and batteries. It also outlaws providing such items to federal prisoners. Sen. Feinstein (at left) wrote in her statement for the Congressional Record that "A cell phone should never be in the hands of a prisoner. The presence of these cell phones poses a grave safety concern for staff, inmates, and the public. We know that inmates use these phones to conduct criminal business outside of prison walls, including directing gang hits, controlling drug trafficking operations and even conducting credit card fraud. Corrections departments across the country are reporting a sharp increase in the number of cell phones being smuggled into prison facilities." She called that current lack of a criminal prohibition of cell phones a "loophole". She said that her bill would provide that "any person smuggling or in possession of a cell phone could potentially serve up to a year in prison". This bill was referred to the Senate Judiciary Committee, of which both Sen. Feinstein and Sen. Grassley are members. Cell Phone Jamming Bill. There is also are related bill, S 251 [LOC | WW], the "Safe Prisons Communications Act of 2009", sponsored by Sen. Kay Hutchison (R-TX). It would allow prison officials to petition the Federal Communications Commission (FCC) for permission to allow cell phone jamming. The Senate Commerce Committee (SCC), which has jurisdiction over S 251, amended and approved it on August 5, 2009. See, story titled "Senate Commerce Committee Approves Bill to Allow Cell Phone Jamming by State Prisons" in TLJ Daily E-Mail Alert No. 1,976, August 5, 2009. Currently, 47 U.S.C. § 333 provides, in full, that "No person shall willfully or maliciously interfere with or cause interference to any radio communications of any station licensed or authorized by or under this chapter or operated by the United States Government." S 251, as amended on August 5, 2009, provides that the FCC "may authorize the supervisory authority of a correctional facility to operate a jamming system within the correctional facility to prevent, jam, or otherwise interfere with unauthorized wireless communications within the facility by individuals held in the facility." The FCC would be required to give notice and an opportunity to be heard to public safety agencies and commercial mobile service providers. If a waiver is granted, the bill would then allow public safety agencies to inspect the jamming facilities. The bill would also require the shutdown of jamming in the event of a public safety incident at the prison. S 251's companion bill in the House is HR 560 [LOC | WW], introduced on January 15, 2009, by Rep. Kevin Brady (R-TX), Rep. Ted Poe (R-TX), Rep. Pete Sessions (R-TX), and Rep. Lamar Smith (R-TX). It now has 49 mostly Republican sponsors. 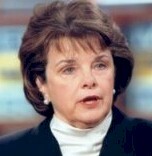 Sen. Feinstein is also a cosponsor of S 251. Competition Analysis. Prison systems that provide phone services to inmates generally do so on a sole provider basis. Moreover, in the U.S. such arrangements are exempt from federal antitrust liability. See, the U.S. Court of Appeals (6thCir) April 23, 2002 opinion in Michigan Paytel v. City of Detroit. Some prisoners use cell phone services, for non-criminal purposes, because they are a lower cost alternative to the monopoly service provider. Passage of S 251 and HR 1749, and similar legislation in other jurisdictions, would also have the effect of increasing the revenues of these monopoly providers, the value of these sole provider contracts, and government revenues from these contracts; prisoners and their families would pay more for telecommunications services. Upcoming Event. On October 26, 2009, at 12:15 - 1:30 PM, there will be a bag lunch at the offices of Sidley Austin (1501 K St., NW) titled "Everything You Wanted to Know About Cell Phone Jamming In Case Your Phone Goes Dead". The speakers will be Michael Marcus (South Carolina Department of Corrections), Charles Jamison (CTIA), and others. Register with Tami Smith at 202-736-8257 or tesmith at sidley dot com. 10/8. Rep. Scott Garrett (R-NJ) introduced HR 3775 [LOC | WW], the "Small Business SOX Compliance Relief Act". Section 404 contains the costly to implement internal control reporting requirements. Due to objections from small businesses (which are "non-accelerated filers" under the SEC's regulations), the SEC has repeatedly delayed the date by which certain small businesses must comply with Section 404. HR 3775 would exempt these small businesses from the Section 404 internal control reporting requirements. Small public technologies companies, and some groups that represent them, have long argued that Section 404, and the SEC's implementation of it, imposes huge burdens on them, with little benefit to investors. See for example, February 2005 report titled "Sarbanes-Oxley Section 404: The 'Section' of Unintended Consequences and its Impact on Small Business", by the American Electronics Association (now Tech America). These arguments are supported by the May 8, 2006, Government Accountability Office (GAO) report [93 pages in PDF] titled "Sarbanes-Oxley Act: Consideration of Key Principles Needed in Addressing Implementation for Smaller Public Companies". See also, story titled "GAO Reports that Section 404 of Sarbanes Oxley Burdens Small Public Companies" in TLJ Daily E-Mail Alert No. 1,366, May 9, 2006. Rep. Garrett stated in a release that "Although the stated intent of Sarbanes-Oxley was to provide investor confidence in our markets through greater accountability and disclosure, the Act has had the unintended effect of creating undue -- and often unbearable -- burdens on small businesses". He continued that "It is diverting valuable resources away from other legitimate business needs; creating massive and tedious documentation requirements; and discouraging the public listing of both international and domestic companies on U.S. markets. Honest companies are being punished and the U.S. economy will suffer as a result." The Sarbanes Oxley Act was HR 3763 in the 107th Congress. It is now Public Law No. 107-204. Its main sponsors were former Sen. Paul Sarbanes (D-MD) and former Rep. Mike Oxley (R-OH). Section 404 is codified at 15 U.S.C. § 7262. The bill was referred to the House Financial Services Committee (HFSC). Rep. Garrett is the ranking Republican on the HFSC's Subcommittee on Capital Markets, Insurance, and Government-Sponsored Enterprises. 10/7. Rep. Yvette Clarke (D-NY), Rep. Dan Lungren (R-CA), Rep. Bennie Thompson (D-MS), and others, introduced HRes 797, a rresolution expressing the sense of Congress regarding cyber security. See, Clarke release. Rep. Clarke is the Chairman of the House Homeland Security Committee's (HHSC) Subcommittee on Emerging Threats, Cybersecurity and Science and Technology. Rep. Lungren is the ranking Republican on the Subcommittee. Rep. Thompson is the Chairman of the full Committee. 10/7. Rep. Tammy Baldwin (D-WI) introduced HR 3745 [LOC | WW], the "Community Access Preservation (CAP) Act of 2009", a bill to amend the Communications Act regarding public, educational, and government (PEG) channels mandates. The bill was referred to the House Commerce Committee (HCC). 10/6. Sen. Joe Lieberman (D-CT) and Sen. Susan Collins (R-ME) introduced 1755 [LOC | WW], a bill to direct the Department of Homeland Security (DHS) to undertake a study on emergency communications. It was referred to the House Homeland Security Committee (HHSC). 10/8. The Senate Judiciary Committee (SJC) held an executive business meeting. It amended and approved S 1692 [LOC | WW], the "USA PATRIOT Act Sunset Extension Act of 2009". 10/8. The Senate Judiciary Committee (SJC) held an executive business meeting. The agenda included consideration of HR 985 [LOC | WW] and S 448 [LOC | WW], both titled the "Free Flow of Information Act of 2009". The SJC held over consideration of both bills to the next executive business meeting, scheduled for October 15, 2009. 10/8. The Business Software Alliance (BSA) released a report [28 pages in PDF] titled "Software Piracy on the Internet: A Threat To Your Security". It addresses the scale and impact of online software piracy, including "various Internet security threats that are related to unlicensed software use". The report focuses on internet auction web sites (such as eBay, UBid, Mercadolibre, Taobao, Eachnet, QXL, and Yahoo), peer to peer technology, business to business web sites, and social networking web sites. The report finds that "Globally, there is significant evidence to link software piracy with the frequency of malware attacks. While this correlation has not been measured with precision, the evidence from industry sources suggests that markets with high software piracy rates also have a tendency to experience high rates of malware infection". It explains that "Security threats such as viruses, worms, trojans, and spyware are often designed to exploit vulnerabilities in common software products, forcing software developers to constantly develop patches and other fixes to keep emerging malware at bay. Those who use pirated, unlicensed software are typically unable to access or download essential patches and critical updates that ensure their systems remain as secure as possible, and are therefore more susceptible to attack over the long term." 10/7. Dan Glickman, head of the Motion Picture Association of America (MPAA), gave a speech [PDF] in Washington DC to the United States-New Zealand 2009 Partnership Forum. He said that "most movies don’t make their money back at the box office. They require DVD, home video and a legitimate Internet market to recoup their investment -- precisely those markets most vulnerable to digital theft." "Illegal online distribution can especially wreak havoc on international distribution. Independent producers particularly rely on international distribution because they often must secure up-front investments in return for licensing release rights in different territories. It's a similar story with television. Global audiences often seek out popular U.S. shows illegally online before they air locally, reducing their value." He added that the US motion picture industry works with legitimate websites to provide online on demand content. Also, "we want to get the illegal choices out of the marketplace". He stated that "the Internet economy will not flourish in a lawless environment, where the rights and protections of others are not respected and where there are no rules of the road." He continued that "we must insist that policies in this country and around the world show as much concern for the economic contributions of creative industries, as they do for the contributions of manufacturing and other more traditional segments of our global economy. It is only fair that the protections that exist in the real world exist in the digital world, as well." He did not discuss the Anti-Counterfeiting Trade Agreement (ACTA) in the prepared text of his speech. Day one of a two day meeting of the Judicial Conference of the United States' (JCUS) Advisory Committee on Rules of Criminal Procedure. See, notice in the Federal Register, June 17, 2009, Vol. 74, No. 115, at Page 28726. Location: Fairmount Olympic Hotel, 411 University Street, Seattle, Washington. Day one of a two day conference hosted by the SC Magazine titled "SC World Congress Conference and Expo". See, conference web site. Location: Sheraton New York Hotel & Towers, 811 7th Ave., New York, New York. The International Systems Security Association (ISSA) will host a one day conference titled "Cornerstones of Trust 2009 Conference". Location: Crowne Plaza Hotel, Foster City, California. Day two of a two day meeting of the Judicial Conference of the United States' (JCUS) Advisory Committee on Rules of Criminal Procedure. See, notice in the Federal Register, June 17, 2009, Vol. 74, No. 115, at Page 28726. Location: Fairmount Olympic Hotel, 411 University Street, Seattle, Washington. Day two of a two day conference hosted by the SC Magazine titled "SC World Congress Conference and Expo". See, conference web site. Location: Sheraton New York Hotel & Towers, 811 7th Ave., New York, New York. 9:00 AM. Gregory Schaffer, the DHS's National Protection and Programs Directorate's (NPPD) Assistant Secretary for Cybersecurity and Communications will give a speech at an conference titled "Cyber Security West: Our Shared Responsibility". Location: Sheraton Grand Sacramento Hotel, 1230 J St., Sacramento, California. Day one of a three day event hosted by the International Anti-Counterfeiting Association (IACA) titled "2009 IACA Annual Fall Conference". See, conference web site. Location: Atlanta, Georgia. 6:00 - 8:00 PM. The American Bar Association's (ABA) Criminal Justice Section will host a panel discussion titled "Cybercrime, Data Breaches and Red Flags: The Next Wave". The speakers will be Ronald Levine (Post & Schell), Michael Levy (U.S. Attorney, Eastern District of Pennsylvania), Ronald Plesco (National Cyber Forensic Training Alliance), Meredith Auten (Morgan Lewis & Bockius), and Kenneth Sharpe (Deputy Attorney General, New Jersey Attorney General's Office). See, notice. RSVP to Robert Snoddy at snoddyr at staff dot abanet dot org or 202-662-1516. Location: Post and Schell, Four Penn Center, 1600 JFK Boulevard, 13th Floor, Philadelphia, Pennsylvania. Day two of a three day event hosted by the International Anti-Counterfeiting Association (IACA) titled "2009 IACA Annual Fall Conference". See, conference web site. Location: Atlanta, Georgia. Day one of a two day event hosted by the American Bar Association's (ABA) Section of Antitrust Law titled "Antitrust Litigation Course". See, notice. Location: Blackstone Renaissance Hotel, 636 South Michigan Ave., Chicago, Illinois. TIME? The University of Memphis Center for Information Assurance will host a one day event titled "2nd Annual Cyber Security Expo". At 1:15 PM, the DHS's National Protection and Programs Directorate's (NPPD) Director for Software Assurance Joe Jarzombek will speak. Location: FedEx Institute of Technology, 365 Innovation Drive, Memphis, Tennessee. Day three of a three day event hosted by the International Anti-Counterfeiting Association (IACA) titled "2009 IACA Annual Fall Conference". See, conference web site. Location: Atlanta, Georgia. Day two of a two day event hosted by the American Bar Association's (ABA) Section of Antitrust Law titled "Antitrust Litigation Course". See, notice. Location: Blackstone Renaissance Hotel, 636 South Michigan Ave., Chicago, Illinois. 9:30 - 10:20 AM. There will be a panel discussion titled "Public-private sector security partnership revisited; New administration, new departments, new leaders with a new vision. How do we maximize the visibility cyber security is finally getting?". The speakers will include Shawn Henry, Assistant Director of the FBI's Cyber Division. 10:35 - 11:25 AM. There will be a panel discussion titled "IPv6: The next big bail-out. Will IPv6 save the internet?" At 3:50 - 5:15 PM. There will be a mock trial of a case relying heavily on electronic forensic evidence. The participants will include Kimberly Peretti, Senior Counsel in the DOJ's Computer Crimes and Intellectual Property Section (CCIPS), and Howard Cox, Assistant Deputy Chief of the DOJ/CCIPS. 10:00 - 10:50 AM. There will be a panel discussion titled "Software assurance: Mitigating risks through security-enhanced practices and diagnostic tools". The speakers will include the DHS's National Protection and Programs Directorate's (NPPD) Director for Software Assurance Joe Jarzombek. 10:55 - 11:55 AM. FTC Commissioner William Kovacic will give a keynote speech titled "Internet Crime & the FTC". 12:00 NOON - 2:50 PM. There will be a lunch and panel discussion titled "Cyberwar". The speakers will include Russell Rochte (National Defense Intelligence College). The House will meet at 12:30 PM for morning hour, and at 2:00 PM for legislative business. It will consider numerous non-technology related items under suspension of the rules. Votes will be postponed until 6:30 PM. See, Rep. Hoyer's schedule for the week of October 12, and schedule for October 13. The Senate will meet at 2:00 PM. It will resume consideration of HR 2847 [LOC | WW], the "Commerce, Justice, Science, and Related Agencies Appropriations Act, 2010". 8:00 AM - 4:00 PM. The Department of Homeland Security's (DHS) National Protection and Programs Directorate's (NPPD) National Infrastructure Advisory Council (NIAC) will meet. The agenda includes consideration of a "final report from the Frameworks for Dealing with Disasters and Related Interdependencies Working Group and a status reports from the Critical Infrastructure Resilience Working Group". See, notice in the Federal Register, September 25, 2009, Vol. 74, No. 185, at Pages 48997-48998. Location: Park Hyatt, Ballroom, 24th and M St., NW. 9:00 - 11:00 AM. The Tech America will host a event titled "Cyber Security Briefing". The speakers will be Rep. Yvette Clarke (D-NY), Vinny Gullotto (Microsoft), Uri Rivner (RSA), Eric Cole (Lockheed Martin), Kristin Lovejoy (IBM), and John McCumber (Symantec). RSVP to Anne Caliguiri at 703-284-5335 or anne dot caliguiri at techamerica dot org. Breakfast will be served. Location: Congressional Meeting Room, South 80, Capitol Visitor Center. 12:00 NOON - 2:00 PM. The Federal Communications Bar Association's (FCBA) Legislative and Privacy and Data Security Committees will host a brown bag lunch titled "privacy legislative priorities for the 111th Congress with special emphasis on behavioral marketing and data security legislation". See for example, HR 1319 [LOC | WW], the "Informed P2P User Act", and HR 2221 [LOC | WW], the "Data Accountability and Trust Act", both amended and approved by the House Commerce Committee (HCC) on September 30, 2009. The speakers will include Amy Levine (Legislative Counsel to Rep. Rick Boucher (D-VA)) and Paul Cancienne (Legislative Aide to Rep. Mary Bono (R-CA)). RSVP to dlogan at reedsmith dot com. The FCBA often excludes people from its meetings. Location: Reed Smith, Suite 1100 East Tower, 1301 K St., NW. 1:00 - 1:30 PM. Ruth Milkman, Chief of the FCC's Wireless Telecommunications Bureau (WTB) will host an event titled "press availability forum with reporters to discuss her principles and philosophies, her expectations for WTB, and her long range goals". The FCC stated in a release that "Credentialed reporters who plan to attend should contact Matthew Nodine" at matthew dot nodine at fcc dot gov, and arrive 15 minutes early to stand in lines. Location: FCC, Conference Room 6600, 445 12th St., NW. Deadline to submit initial comments to the Federal Communications Commission (FCC) in response to its Notice of Inquiry (NOI) [33 pages in PDF] in its proceeding titled "In the Matter of Consumer Information and Disclosure Truth-in-Billing and Billing Format IP-Enabled Services". This NOI is FCC 09-68 in CG Docket Nos. 09-158 and CC Docket No. 98-170 and WC Docket No. 04-36. The FCC adopted it on August 27, 2009, and released the text on August 28, 2009. Deadline to submit initial comments to the Federal Communications Commission (FCC) in response to the FCC's Notice of Proposed Rulemaking (NPRM) regarding requiring applicants that win broadband radio service (BRS) licenses in Auction 86, and any subsequent auction, to demonstrate substantial service on or before four years from the date of license grant. The FCC adopted this NPRM on September 8, 2009, and released the text on September 11, 2009. It is FCC 09-70 in WT Docket No. 03-66 and RM-10586. Auction 86 is scheduled to begin on October 27, 2009. See, notice in the Federal Register, September 28, 2009, Vol. 74, No. 186, at Pages 49356-49359. EXTENDED AGAIN, TO OCTOBER 22. EXTENDED TO OCTOBER 15. Deadline to submit reply comments to the Federal Communications Commission (FCC) regarding its Notice of Inquiry (NOI) [23 pages in PDF] in its proceeding titled "In the Matter of Implementation of Section 6002(b) of the Omnibus Budget Reconciliation Act of 1993 (and) Annual Report and Analysis of Competitive Market Conditions With Respect to Mobile Wireless including Commercial Mobile Services". (Parentheses added.) This NOI is FCC 09-67 in WT Docket No. 09-66. The FCC adopted and released this NOI on August 27, 2009. See, notice of extension (FCC 09-72). See also, further notice of extension (DA 09-2207). The House will meet at 10:00 AM for legislative business. It will consider numerous non-technology related items under suspension of the rules. It may also vote on the conference report on HR 2892 [LOC | WW], the "Department of Homeland Security Appropriations Act, 2010". See, Rep. Hoyer's schedule for the week of October 12. 10:00 AM. The Senate Homeland Security and Government Affairs Committee (SHSGAC) will hold a hearing titled "Presidential Advice and Senate Consent: The Past, Present and Future of Policy Czars". See, notice. Location: Room 342, Dirksen Building. 10:15 PM. The House Judiciary Committee (HJC) will meet to mark up several bills, including HR 3237 [LOC | WW], an untitled bill related to National and Commercial Space Programs. See, notice. Location: Room 2141, Rayburn Building. 2:00 - 3:30 PM. The American Bar Association (ABA) will host a panel discussion by audio webcast and teleconference titled "Advising your Clients on the Development and Use of Open Source Software". The speakers will be Ben Kleinman (Knobbe Martens), Heather Meeker (Greenberg Traurig), Jennifer O'Neill (CA, Inc.), Robert Tiller (Red Hat, Inc.). The price to participate ranges from $60 to $125. This event qualifies for continuing legal education (CLE) credits. See, notice. 2:10 PM. The House Foreign Affairs Committee's (HFAC) Subcommittee on Asia, the Pacific and the Global Environment will hold a hearing titled "The Future of APEC". The witnesses will be Kurt Tong (acting U.S. Senior Official to APEC at the Department of State), and Wendy Cutler (Assistant U.S. Trade Representative for Japan, Korea and APEC Affairs). See, notice and Asia Pacific Economic Cooperation web site. Location: Room 2172, Rayburn Building. 2:30 PM. The Senate Commerce Committee (SCC) will hold a hearing titled "Combating Distracted Driving: Managing Behavioral and Technological Risks". The witnesses will be Ray LaHood (Secretary of Transportation) and Julius Genachowski (FCC Chairman). See, notice. Location: Room 253, Russell Building. Day one of a two day event hosted by the Department of Defense titled "2009 DoD Spectrum Symposium". See, agenda. Location: Hyatt Regency Hotel (Crystal City), Arlington, VA. Deadline to submit initial comments to the Federal Communications Commission's (FCC) Office of Engineering and Technology (OET) in response to it Public Notice regarding qualifying information for recognizing laboratory accreditation bodies and ACLASS application for recognition. This item is DA 09-2049 in ET Docket No. 09-161. The House will meet at 10:00 AM for legislative business. It may vote on the conference report on HR 2892 [LOC | WW], the "Department of Homeland Security Appropriations Act, 2010". See, Rep. Hoyer's schedule for the week of October 12. 12:15 - 1:30 PM. The Federal Communications Bar Association's (FCBA) International Telecommunications Committee will host a brown bag lunch titled "The Role of Satellite in the National Broadband Plan". The FCBA adds that this event will address the following topics: "How does satellite broadband work? Is it a cost-effective way to cover geographic areas unserved by terrestrial broadband providers? Are there technical barriers that diminish the on-line experience? What is the timing for, and what are the capabilities of, next generation broadband satellites?" The speakers may include John Giusti (Chief of Staff to FCC Commissioner Michael Copps), Erwin Hudson (CTO of WildBlue Communications), Dean Manson (SVP/GC of Hughes Network Services), Leo Mondale (Inmarsat), and Bob Koppel (WildBlue Communications). RSVP by October 13 to Jennifer Ullman at Jennifer dot ullman at verizon dot com. The FCBA often excludes people from its meetings. Location: Verizon, Suite 400 West, 5th Floor, 1300 I St., NW.